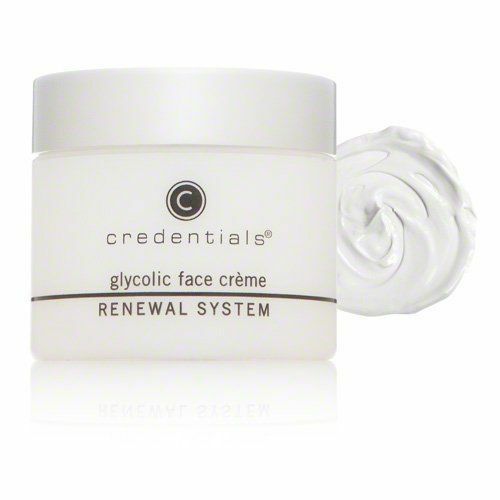 Home/Credentials/Credentials Glycolic Face Cream 2fl oz. Credentials Glycolic Face Cream is a rich, moisturizing cream with 8% glycolic acid that provides substantial exfoliation. Grapeseed, licorice, and vitamin E calm the skin and provide antioxidant benefits, while vitamin A promotes healthy skin cells. Apply a small amount to the entire face, neck and décolleté. May be used morning and night. For drier skin, apply under moisturizer. The use of sunscreen is recommended after application of this product.